FRESH is TPCI’s publication on F&B industry. 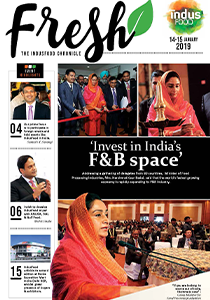 Being developed as India’s foremost magazine on F&B, FRESH is gaining in popularity and presence. Global Economic Monitor is a publication highlighting major trade trends, happenings and reviews by experts that help our members and authorities to strategize efforts to explore potential markets, enhance trade opportunities and build fruitful relations to enhance trade.